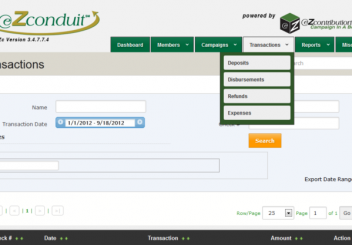 Need a Solution for Your Conduit Administration? PACPartner has already customized it for you! 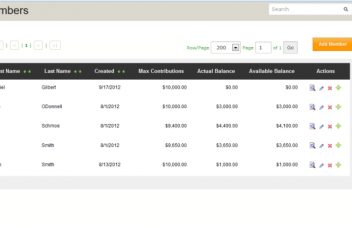 Get all the information you need at a glance, including conduit balance and pending disbursements. 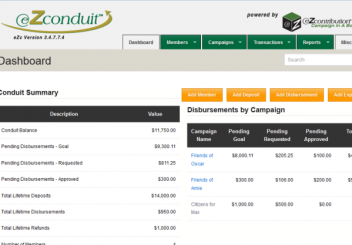 Not only can you track the dollars going in and out of the conduit, you can also track the expenses, solicitation or administrative, the sponsoring organization spends. 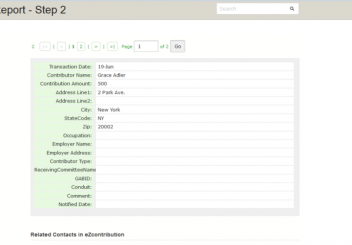 All the reports needed to submit to the Government Accountability Board can easily be uploaded into the GAB system from data generated from eZconduit. 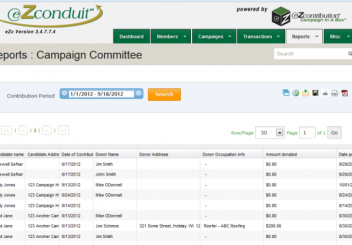 eZconduit provides you with the ability to automatically generate the email requesting the release of funds to a campaign committee.